Robert Sapolsky’s Stanford University lecture touches upon ways in which humans are similar to other living beings, like primates such as the chimpanzee, or small domesticated pets. Your childhood hamster, Tex. Though we may not at all be unique in terms of genes and basic neurology (I learned this on a summer trip to the Smithsonian, reading a chart which pointed out that humans share a great proportion of genetic similarity with the banana), Sapolsky emphasizes that humans possess uniqueness in regards to empathy. Sapolsky makes a notable comparison concerning aggression. He remarks that like us, male baboons can kill their own kind in a cold, calculated fashion (as we have seen in historical examples of the Holocaust and actions of Pol Pot’s regime). Fraternizing in a group called a “border patrol,” these animals will relentlessly kill other baboons from a nearby group. I have never committed murder, but I can attest that when highly aggravated, I can act in ways that many would deem “uncivilized,” or even “animalistic.” The same can be said for many other humans. In middle school, I got into a share of fights with students I shared disagreements with. My home life was rather turbulent, and I can recall several physical altercations between myself and my mother. Though I myself did not initiate the altercations, I felt so threatened by her actions that I retaliated to a certain extreme. At the time, I didn’t care, nor think about the consequences of what I was doing, but I felt I had to protect myself. Now, when my guidance counselor learned of several of these incidences, I was told that even though my mother treated me horribly, I had no right to do what I did, as “She is your mother, and the way you acted was like a junkyard dog. Is this how young women act? Are you a young woman, or an animal? You’re fifteen. Not seven.” Even in the face of ongoing abuse, I noticed that I was expected to act complacently, turn the other cheek, and be the “better person.” I often wonder if the woman who reprimanded me would have practiced the inaction she proselytized in disdain for my behavior. Sapolsky moves on to the theory of mind chimpanzees possess, versus secondary theory of mind only we humans employ in daily interactions. Chimpanzees’ theory of mind is rather rudimentary: an understanding that one chimpanzee has information that the observing chimpanzees do not possess. The observing chimpanzee must do everything in his power to get that information, regardless of the harm or disadvantage inflicted upon his peer. On the other hand, the secondary theory of mind that governs human interaction encompasses empathy, the “Golden Rule,” and social norms which constitute a common culture. Using these tools, we, unlike animals even as similar as the chimpanzee, are able to appreciate issues of morality discussed in books such as Crime and Punishment. We participate in time consuming projects after which rewards may not immediately come to fruition (Personally, I am currently working on an article to submit for publication that requires a great degree of data collection and a frustrating amount of statistical analysis). Although we, like the chimpanzee, are very much driven by physiological wants, we are also able to delay gratification to further work on tasks at hand. It’s a rather unique ability, and while humans can be pretty terrible to each other, the capacities Sapolsky speaks of not only contribute to the structured society we live in, but enable us to move onward. Think, act, innovate. Maybe it’s a blessing, a curse that only complicates, or possibly a tool to use of your own volition, in light or dark. I can say for certain that I’ve never heard of a chimpanzee who blogs. for church will soon let out. because it’s too cloudy for all that noise. though it’s only me you care to study. 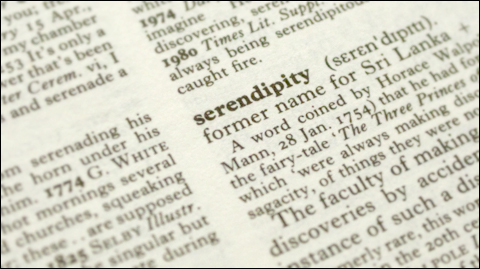 Serendipity is often defined as a happening of chance, purveyor of help, good fortune, smiles. Serendipitous phenomena may beckon joy in times of despair, alleviate need in the midst of hardship, and quite possibly, restore faith in humanity. Quinn Farstride, town eccentric, arrives when most needed. No one knows how he pays his bills, keeps up with school, nor buys a home. Not a geographic coordinate can ever be determined for where he presently roams. Apparently, Quinn is a miracle worker. But is he altruistic? Dr. James Thatcher, professor of anthropology, writes a letter to his daughter, Melanie. Dr. Thatcher is a man who hates to lie, and on his deathbed, writes a letter to Melanie relaying a secret kept for eight years. As his son Todd faces renal failure, a gaunt ghost from Melanie’s childhood makes a university visit. Awkward, yet forceful, Quinn Farstride insists that he donates his kidney, already wielding test results that determine a plausible compatibility. Otherwise, little brother Arthur would donate, but doing so would jeopardize his journey in competitive football. Quinn tells Dr. Thatcher he is losing his mind, and by donating, aims to preserve a functional aspect of his personhood before descending into madness. The mannerisms, speech, and uncanny knowledge of family affairs are all too unnerving. Predictably, Quinn fades, undetectable and absent to thank. After the donation, Dr. Thatcher ventures to find Quinn, speaking with his wife, consulting with mental health specialists, and finally, speaking with a Dr. Paysinger, the administrator at the hospital where Todd received treatment. Her disclosures captivate and intrigue, providing a detailed sketch of the vanishing oddball. Emily, Dr. Paysinger’s daughter, has always been strange. In retrospect, Quinn’s mentorship only cultivated her peculiarities. Emily is sickly, needing blood transfusions to the extent that reserves have been drained at the hospital. Of course, Quinn has just the right type O negative blood to be a donor. Like the case of the Thatchers, Quinn coerces Dr. Paysinger into allowing him to repeatedly give blood to her daughter. Despite his frailty, donations continue, until the time of her transplant. The prospect of Quinn not needing to visit proves so distressing that ultimately, he vanishes from Emily’s life. At this point, erasure is a trend, a trademark end of Quinn’s interpersonal relationships. While Quinn’s desire is understandable, is it altruistic? He wants to preserve a sense of self. Of course that’s self-serving. But it doesn’t detract from the magic of his deeds, his resilience to the wear and tear of medical giving, the ability to self-sustain in the face of meager supply. Quinn is pretty weird. And impressive. He teaches martial arts to a young girl as a hands-on lesson in physics. A creative guy, though exasperating. Bluntly, I admit that I thought to myself, “What a frickin’ narcissist!” Did Quinn write these equations, the framework for all these projects? What if he didn’t? And what kind of change was Quinn hoping to actualize? Quinn seems to express a disappointment in the people around him. So does Melanie. In the beginning of Dr. Thatcher’s letter, he recalls her commenting, “‘Love isn’t real. '” But the letter aims to dispel this notion. Does Quinn benefit from any of his doings? It’s a topic for solid debate. Melanie, the love of his life, gives him the confidence to adopt a new perspective and disown his former ways. Emily, his adoring student, absorbs all the wisdom he wishes to teach, continuing his grand projects. But even if the projects perpetuate good, it seems that Quinn prefers not to be thanked, or even acknowledged. While the benefits he gleans are up for questioning, we know that he is gone. Regardless, miracles are made, within the story and craftsmanship alike. Click to purchase on Amazon, in paperback and for Kindle. I’ve heard this enough from many a man. Not to say I doubt each expression of this sentiment. Some men do undoubtedly love their wives. No marriage is protected by a void of conflict, not every pregnancy is received with glee, and not every marriage that necessarily ends dissolves in the friendly quiet. For Simon and Kerri Pastor, this especially holds true. Simon is that goodnatured fellow we remember at college parties who never touched a drop and blushed at proposals to be his wingman. At the outset, we groaned. Ridiculed him. Speculated on his sanity. But on a serious note, we respected his virtues, admitting we could never be as principled. But is he really? The Divorce and Doom of Simon Pastor is a story we’ve all encountered, with varying attitudes, perspectives, and capacities to relate. I am twenty-four years old, have only had two serious boyfriends, and I’m not quite eager to get married. I don’t know what that’s like, and frankly, I’ve enclosed myself while friends plan families, budget with duty, and purchase modest lots in a growing Suburbia. Truthfully, I was somewhat turned off to the plot of Simon Pastor, but thought of books I enjoyed that heavily featured couples in conflict. Anna Karenina, The Time Traveler’s Wife, The Great Gatsby, and others. Reading another work with drama in relationships couldn’t be as nauseating as it is everyday. In this case, it scraped at my heart. Pete Deakon, blogger of The Captain’s Log, has a writing style I’ve yet to get accustomed to. He writes well, though at times robotically. The first several chapters were a bit difficult to get through. I found the sentences too attentive to grammar and structure, and hoped to gather a stronger sense of the story’s tone. Accounts of Simon’s college days, the early enchantment of Kerri, and the birth of baby Emily struck me as stoic. But when I got to page 53, interest was sparked, and emotions swelled. I was caught in the eye of a livid typhoon, but didn’t mind so much. It was thrilling. The land mines planted by Simon and Kerri are only iconic of the toxins experts say kill fifty percent of American marriages. Infidelity, financial issues, sexual dysfunction, and discord in parenting are nothing new, or shocking. But Deakon demonstrates that it’s not about what you say, but how you say it. Skilled in written dialogue, the author lays out the rest of the story in a way that not only lets us know Simon and adopt him as our own, but look closer at the processes behind a relationship’s end. It is indisputably evident that Simon is unfulfilled in his marriage. But in compliance with social norms, the perceptions of those he performs for, and the teachings of Jesus from a childhood that wasn’t so clean of hypocritical modeling (Simon’s father ran off to have babies with another woman. Simon cheated on a pregnant Kerri with a stripper), Simon is determined to stay. But as we may have seen before, in someone we know or know of, the persistent often unravel, descending into monstrosities they never wanted to be. And the reality is that most of us won’t intervene. We’ll watch, gape, give the guy advice that’s either ambivalently meaningless or something simplistic. “That’s not right,” is all Simon’s friend can say as he vents about Kerri’s tactics in passive aggression. Counseling, compromises, and a collaborative end. The couple takes these measures to miserably fail. Indeed, it was as if Simon was planning to fail. I can see someone commenting on the relative one-sidedness of the story, that it’s told from a man’s perspective, brash, unfeeling, a beer mug brimming with misogyny. I admit, I was angered, unsympathetic to Simon’s difficulties as he talked about the things women do to disrespect men, although they may not be aware of this. Well, thanks, Simon. It’s helpful to know that in my failed relationships, I could not have known any better. But this is where I felt challenged as a reader. This is a story about an imperfect man, with a pristine facade that has trailed him since youth. Aren’t we all imperfect? I was harsh on Simon at times, and though we never see him lay a hand on Kerri, I definitely wanted to slap him something fierce. But I remember the concept of trauma. How it strikes without warning, how the aftereffects vary, but damn nonetheless. It isn’t something you plan for, and personally, I cannot say you recover with grace. There’s a concoction of shock, disappointment, rage, vengeance. And of course, a bitterness that scalds most with the patience to put up with you for more than an hour. In The Divorce and Doom of Simon Pastor, we’re reminded of this, the ugliness of trauma, its ability to trap and ensnare resolutely. In trauma, Simon trips, falters, and stagnates to a degree that makes for intriguing study, but sad witnessing. Ultimately, you feel bad, whether mournful, insulted, dejected, and more. Deakon makes you feel. Prompts a response that lingers. In doing this with Simon Pastor, he has penned a success.